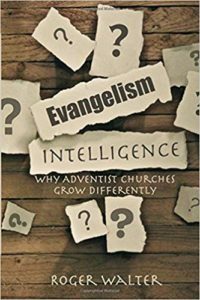 Does Adventist evangelism still work? Most people say the beasts and images no longer work. However the real numbers, beyond the misunderstandings show differently. USA Today declared the Adventist Church the fastest growing denomination in 2011. The heartbeat is still the very relevant messages of Jesus. In this book, author Roger Walter seeks to provide a level of intelligence that moves beyond the urban myths, and show why it can still work and to give the reader a significant amount of wisdom as they seek to share Jesus in their communities. He delves into the science of evangelism and how to do it so that it’s effective in reaching people for Jesus.